A view from the road to Kilchoman on a nice evening on Islay. While mostly cloudy the Sun managed to find a gap in the clouds to bathe the Paps of Jura in some beautiful mild evening light. 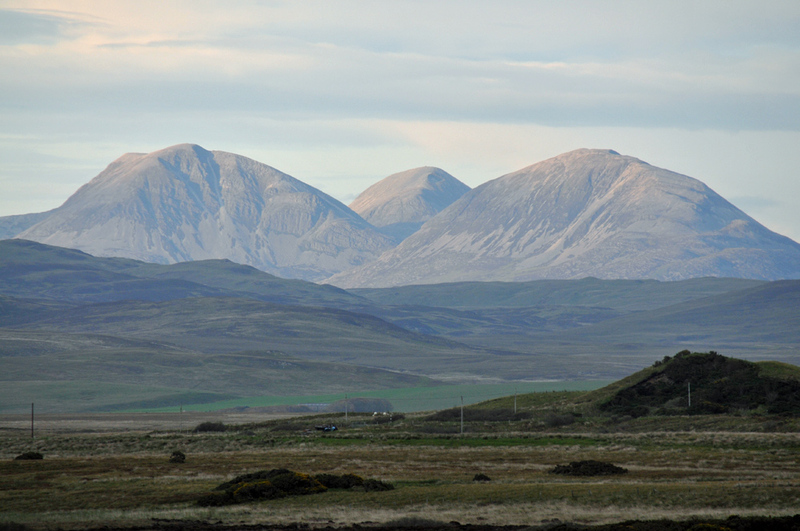 This entry was posted in Cloudy Weather, Landscape, Repost, Sunny Weather, Sunset and tagged Beinn a'Chaolais, Beinn an Oir, Beinn Shiantaidh, Islay, Paps of Jura, Rhinns of Islay by Armin Grewe. Bookmark the permalink. JudeBahHumbug mentioned this Image on twitter.com. This is a delightful aspect and gives such a good view of the Paps.